Does Your ELD Offer a Full Solution? Not every fleet management platform offers an electronic logging device (ELD) system meant to handle the needs small, medium, and large companies. Some don’t take into account certain quirks of the different mandates you have to work within, like the one that says you can have an AOBRD until 2019 — unless you get a new truck. That new truck will have to be equipped with an ELD. You might not plan to buy new trucks in the next two years, but we all know anything can happen. What you need is a fleet management system that can handle all aspects of multiple mandates. Does it comply with the AOBRD mandate? You can install an AOBRD system in your truck and use it until 2019, giving you an extra two years to make the switch to the ELD system. Does it also comply with the ELD mandate? Today, you want an AOBRD but there’s a good chance that sometime in 2018 or later, you’ll buy a new truck. When you do, you’ll have to install an ELD instead of the AOBRD. You shouldn’t have to buy all new equipment and manage multiples systems to comply with the ELD mandate if your current trucks are still in compliance under the AOBRD mandate. With the Gorilla Safety Fleet Management System, you can manage all of your AOBRD and ELD equipped trucks using the same system. Does it have a basic electronic log so you don’t have to keep a paper log? The electronic log is being replaced by the AOBRD and ELD options, but you can still use it for the rest of the year. For some companies, it might be a good way to ease you drivers into a newer system. Can you use it for your shorter hauls of less than 100 miles? 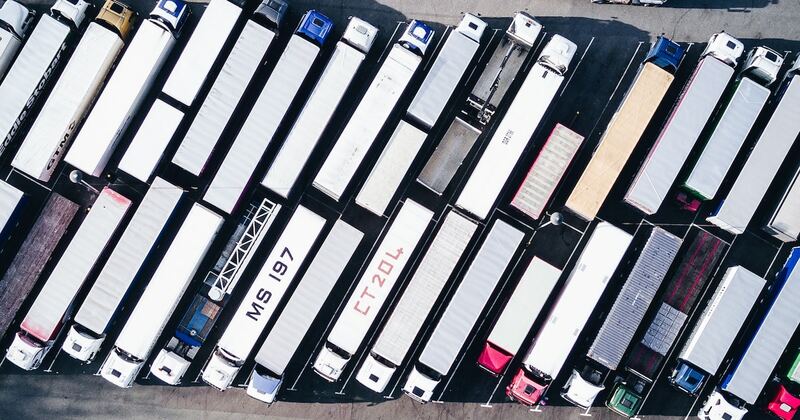 An ELD isn’t required for local jobs, but the other information provided by a system like ours is something that even short-run fleets can benefit from. You can track the hours and miles driven, get quick access to maintenance reports, use our accident investigation tools, make IFTA reporting easier, and more, even if you don’t need an ELD. Ultimately, what you need is a system that helps you stay in compliance under the current mandates and rules while letting you grow into the future. Imagine the hassle of choosing an AOBRD system today and finding out in 2018 that it can’t work as an ELD when you add a new truck to your fleet? What if you want to start with an AOBRD and transition into an ELD after 2019? The time and money you’ll have to spend to start from scratch and find a new system is better spent upgrading your equipment, maintaining trucks, and growing your business. Gorilla Safety can work and grow with you every step of the way. Maintain your electronic log system until December. Keep your AOBRD until 2019, as long as you install it before the ELD mandate goes into effect. Upgrade to an ELD after 2019 or add it to any new trucks you buy without needing a brand new system. When you don’t need the ELD system, for those short hauls, Gorilla Safety can handle that, too. You need a system that can handle your business at any stage. Our complete Fleet Management System can adjust as you grow. Gorilla Safety is flexible enough to work for owner-operators with a truck or two or a fleet of a few thousand trucks. Esta entrada fue publicada en Electronic Log Book, Dispositivo de registro electrónico(ELD), Gestión de flotas. Guarda el permalink.